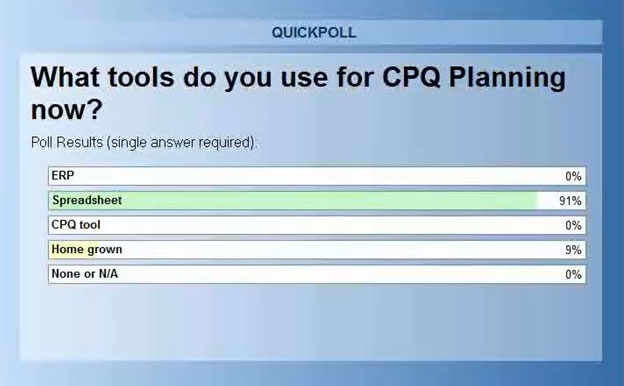 What tools do you use for CPQ planning now? 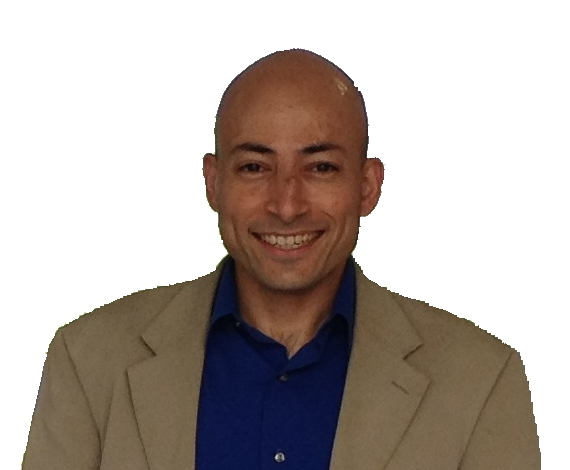 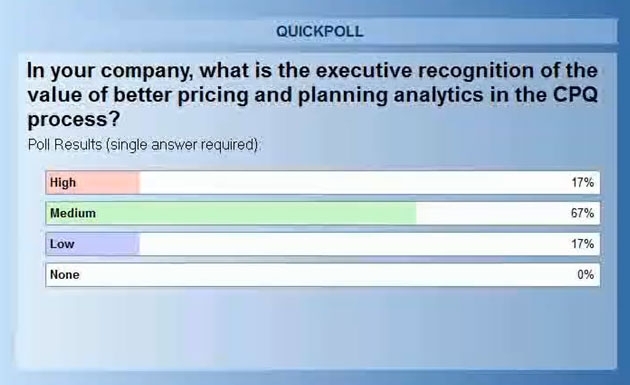 In your company, what is the executive recognition of the value of better pricing and planning analytics in the CPQ process? 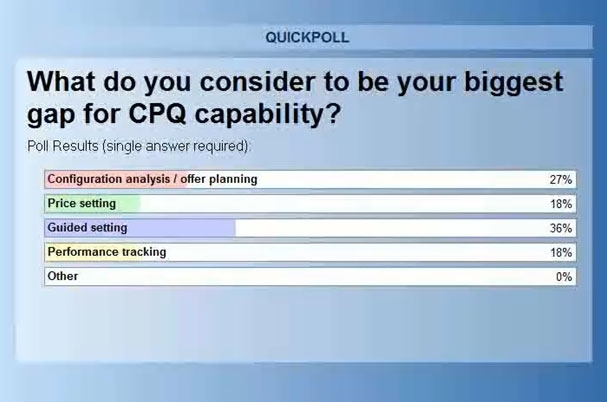 What do you consider to be your biggest gap for CPQ capacity?